Galaxea fascicularis, copyright David Witherall and Jacob Crabtree. 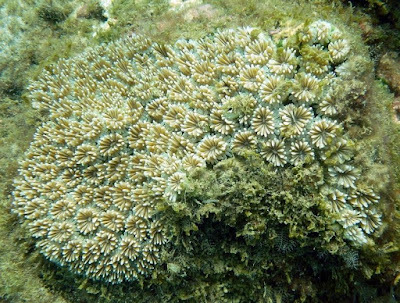 The Faviina are a group of corals characterised by septa formed of one or more fan systems of simple or compound trabeculae, with synapticulae absent and disseptiments well developed. 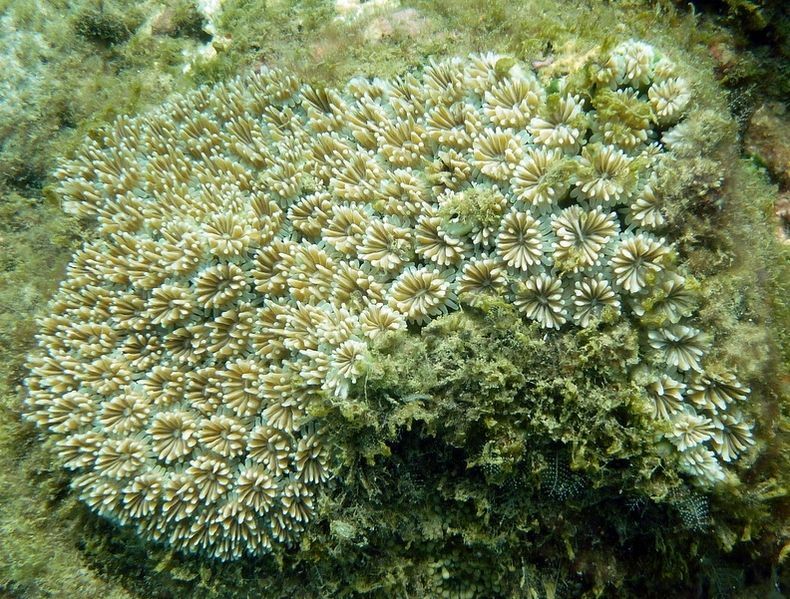 Septal margins are regularly dentate (Cairns 2002). [N79] Nudds, J. R. 1979. Coloniality in the Lithostrotionidae (Rugosa). In: Larwood, G., & B. R. Rosen (eds) Biology and Systematics of Colonial Organisms pp. 173–192. Academic Press: London. [SC62] Starck, W. A., II & W. R. Courtenay, Jr. 1962. Chorististium eukrines, a new serranid fish from Florida, with notes on related species. Proceedings of the Biological Society of Washington 75: 159–168.